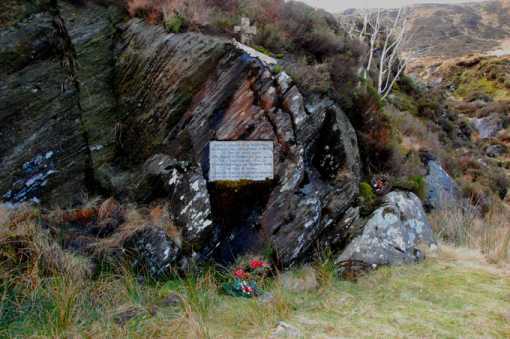 The second part of the name refers to the old road (bealach) which led from the west over the mountains into Glendalough. Conavalla is the 87th highest place in Ireland. Lonely top well defended by navigationally tricky land & sucking bog. 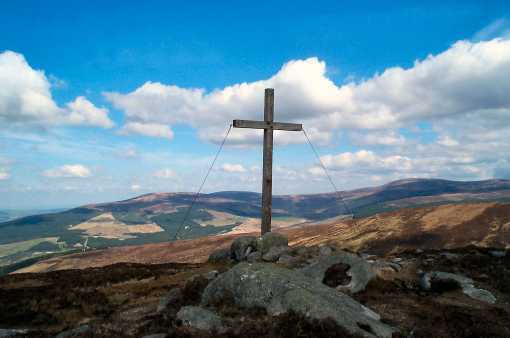 Conavalla has a plain, lonely place at the head of the Glenmalure valley. It can be reached from various points such as from the car park at Boravore T046943 A from where you proceed NW up forest tracks, reaching and then leaving the forest marked on the OS map. 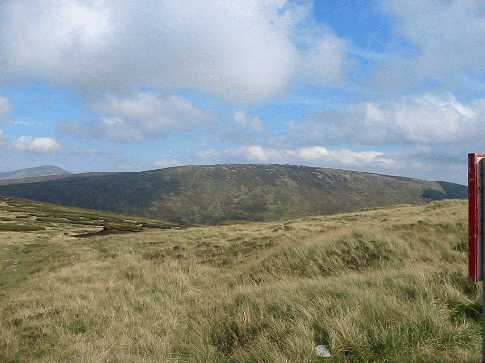 Another route is from the Wicklow Gap O075003 B, from which you walk up the road to the Turlough Hill power storage system, past Lough Firrib so reaching Conavalla from the NE. This route is notoriously difficult in misty conditions without a GPS. When wet, which is to say often, the flattish region around 350 to 700m to the NE of the summit has perhaps the worst bog in Wicklow. It is also possible to reach Conavalla from the north, for example starting at O 020014 C which is the end of a rough road, and going to the Art's Plaque at T036994 D.
It and the Arts Cross T 03789 98934 E on the height above it commemorate Art O'Neill who died in 1592 on his flight from Dublin Castle. There are also the two lakes of "Three Lakes" at 032982 F.
Conavalla hates me. It really does. I finally reached the top on my fourth attempt. Three other attempts were thwarted by weather but I was going to beat it. Third attempt via Tomaneena and I was determined to get it. The mountain threw everything it had. Mist, blizzard and bog all combined to try and make me turn back. At one point the ice broke on the bog and I sank over my knees. I got one leg out but the other was stuck fast. I had to sit down and dig out peat with my hands. 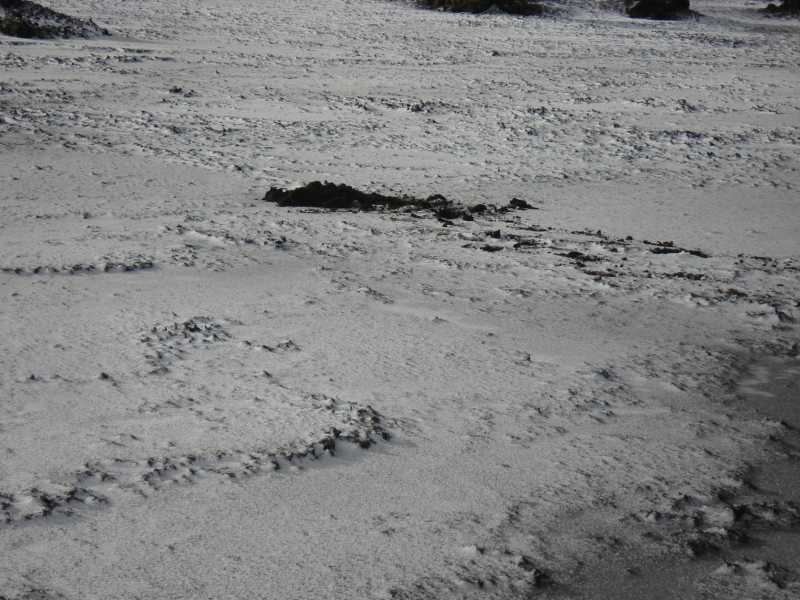 I then crawled over cracking bog ice to a hag where I considered turning back. No, the top was only a few hundred metres and I did get it. Returning to Lough Firrib, I took a wide detour to avoid the worst of the bog but Conavalla released her white out. Luckily I had GPS as well as my map so she let me proceed to Tomaneena and down to Wicklow gap.